USS Bowfin Submarine Museum & Park is a 501(c)(3) nonprofit organization and we do not receive any funding from the Navy or the U.S. government. In 1986 we were designated a National Historic Landmark and through your generous donations we can continue to preserve USS Bowfin and our many artifacts for years to come. Our mission is “…the development and maintenance of a memorial park, whose principal exhibit is the World War II submarine, USS Bowfin (SS-287). Bowfin Park is a memorial to the 52 submarines and more than 3,500 submariners lost during World War II...” Your donations will go directly to the maintenance of USS Bowfin, as well as the upkeep of the beautiful waterfront memorial. 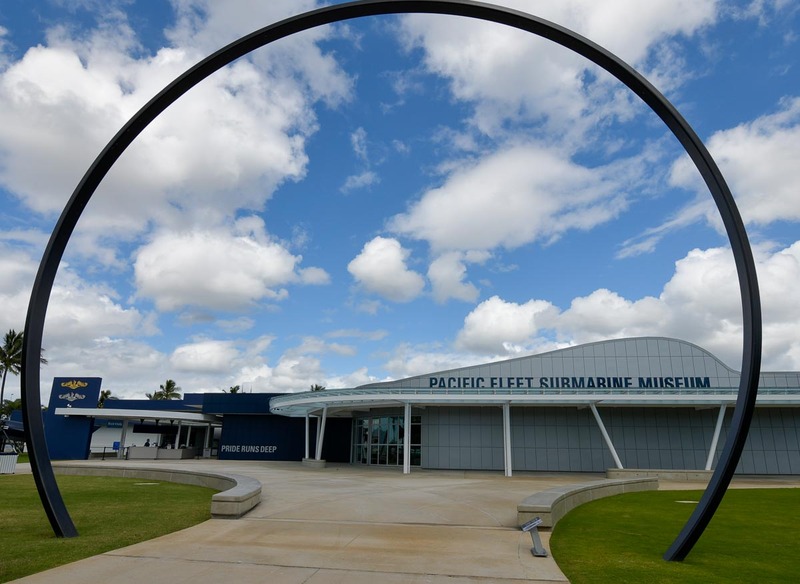 The Pacific Fleet Submarine Memorial Association awards scholarships every year to students, spouses, and submariners who are stationed at Pearl Harbor. The scholarship was started in 1985 and over the years over $900,000 has been awarded to hundreds of submariners and their families. Read more about our Scholarship Fund here or make an online donation today. The H. L. Hunley was the first submarine in history to sink an enemy ship. On February 17, 1864 the USS Housatonic was sunk after the Hunley crew rammed her spar torpedo into Housatonic’s hull. Hunley backed away and later sank before returning to shore.